This program offers a participant a panoramic, innovative view related to innovative teaching practices. Throughout the week, participants will attend training courses related to the educational system in Malta, and learn about teaching methodologies, internet communication technologies, and communication in the classroom. This program will improve adult trainers capacity to teach using new and innovative methods in their home country. Welcome Day- Presentation of the schedule for the upcoming days including information about Maltese culture and Erasmus + and the city.- They will learn about important issues for Malta, the framework of the courses and the type of organizations they will visit. - Course on how to incorporate Internet Communication Technologies (ICT) in the classroom and course curriculum. Downloading & Editing Video Clips & Subtitling as a Task. - Course about effective communication in the classroom to create a positive and inclusive learning environment for all students.- Workshop on specific innovative teaching methodologies.Creating a website, how to design your own website, introduction. -Course on conflict resolution skills by identifying shared goals to overcome the issue.- Visit to a course with four branches of study: Administration, Financing and Marketing, Information Systems for Business, Tourism and Construction, Environment and Territory. Group tasks. - Capability to introduce different technology-based tools in learning environments for educational purposes. - Language skills developed through continuous communication in English during the lessons and during the collaborative work, through wide use of web-pages written in the same language and through the use of specific, technical vocabulary. The social programme also provided immersion in the language. - Developing designing skills in the creation and editing of web-pages, . - Enhancing various practical skills related to the use of different freeware available as teaching tools. - Effective communication and conflict solving. In this program, it offers participants a panoramic, innovative view related to innovative teaching practices in Malta. Throughout the week, participants will attend training courses related to the educational system in Malta, as well as they will visit different schools and learn about teaching methodologies, internet communication technologies, and communication in the classroom. This program will support the lifelong learning of teachers and improve their capacity to teach using new and innovative methods in their home country. Arrival- Participants will be transferred from the airport to their Residence apartments in St Julian’s. - Course on how to incorporate Internet Communication Technologies (ICT) in the classroom and course curriculum.- Visit of a technical professional institution focused on science, mechanics, electronics and information telecommunications. - Course on conflict resolution skills by identifying shared goals to overcome the issue.- Visit of a secondary school with four branches of study: Administration, Financing and Marketing, Information Systems for Business, Tourism and Construction, Environment and Territory. In this program, it offers participants a panoramic, innovative view of Maltese culinary techniques in Malta. 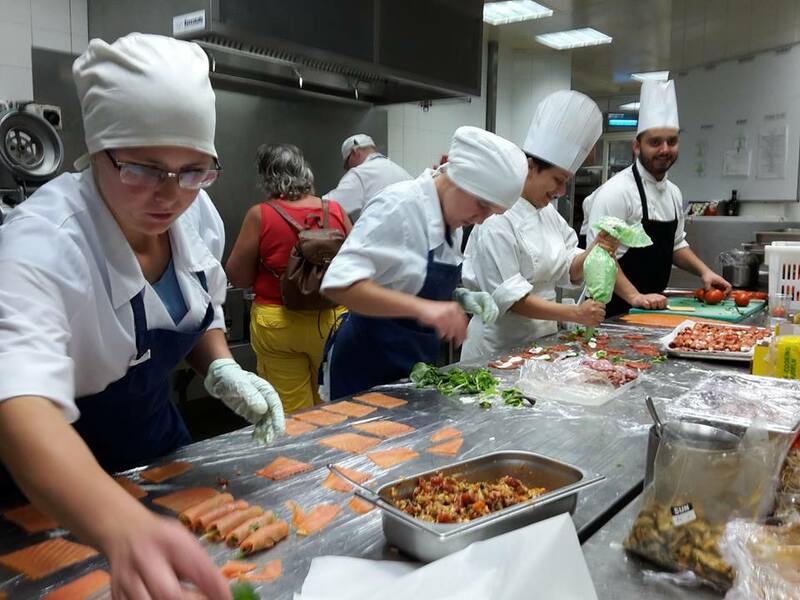 Throughout the week, participants will receive training courses from qualified staff, as well as they will visit a variety of restaurants to learn cook Maltese cuisine using specific technological procedures in gastronomy as well as business practices such as table service, employee training and operational procedures. Arrival- Participants will be transferred from the airport to their Residence apartments in St Julians. Welcome Day- Presentation of the schedule for the upcoming days including information about Maltese culture and Erasmus + and the city.- They will learn about important issues for Malta, the courses’ framework and the type of organisations they will visit. - Course about traditional food production in Malta and the benefits of organic product consumption.- Workshop in techniques of local meat and steak recipes. - Course in business aspects such as table service, employee training and operational procedures will also be taught.- Visit of a banquet of Maltese weddings. - Course about high grade restaurants and hotels table service techniques.- Visit at a high grade hotel/restaurant, participants will learn sophisticated Maltese recipes from the creation of gourmet meals. In this program, it offers participants a panoramic, innovative view related to tourism practices in Malta. Throughout the week, participants will attend training courses and they will visit businesses involved in tourism such as hotels, festival organizers, and boat tour companies. They will learn good tourism business practices including management, services and marketing to attract tourists. Welcome Day- Presentation of the schedule for the upcoming days including information about Malta culture and Erasmus + and the city.- They will learn about important issues for Malta, the courses’ framework and the type of organisations they will visit. - A meeting with the provincial center committee who is responsible for the development of tourism activities and their promotion.- A meeting with the director of Malta Tourism Authority to learn about the promotion of events and managing high tourist. - Course on how business is managed in a big, luxurious hotels.- A meeting with the manager of a high grade hotel to learn how to offer full service packages and solutions for all types of gatherings. 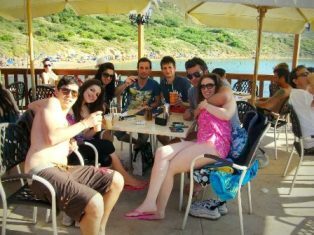 - Minicruise of the Gozo and Comino Islands. Historically, the islands has always been distinct from mainland Malta; different milestones, traditions, happenings and topography have distinguished the island both on a national scale and as a travel destination. A lower population density and the slower process of urbanisation have contributed to conserving the island’s characteristic aura, which wins over the traveller who is looking to slow down. Training to Malta is able to organize also other types of programme, by needs of participants.